Pablo Prigioni, the 36-year-old undrafted rookie from Argentina, had quite the night for the New York Knicks, as he scored 10 points (4-4 FG, 2-2 3PT), grabbed 4 rebounds, dished out 4 assists, and didn’t turn the ball over once, all in only 21 minutes of action. Although Prigioni wasn’t necessarily the most effective Knick on the court last night (Anthony scored 32 pts, Iman Shumpert 15, Raymond Felton 14), he was without a doubt the most efficient. 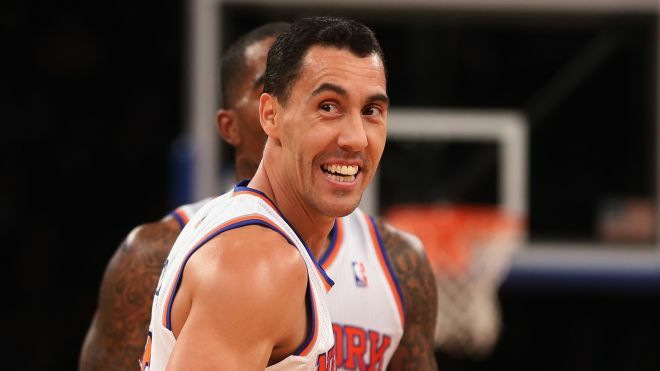 And when Prigioni plays efficiently, the Knicks win big. Literally. In eight postseason games this year, Prigioni has shot 50% from the field in three of them. All three of those games, the Knicks came out victorious; a game three win in Boston that put New York up three games to none (90-76), the clinching Game 6 victory in Beantown that sent the C’s home for good (88-80), and last night’s laugher against Indiana (105-79). Prigioni is far from the sole reason the Knicks are experiencing such solid results, but he has been a key contributor throughout these playoffs. In the series against the Celtics, he averaged 2.2 steals per contest and less than a turnover per game. While his steal numbers are down this series so far, Prigioni is continuing to take care of the ball (0.6 tpg) and finding his teammates much better (5.0 apg). He is also shooting an insane 48% from three-point land during the playoffs. Prigioni may be old. He may only be a rookie. He may be one of the biggest contradictions in the league right now (as he has less experience than 11 of the 13 players on the Knicks roster, yet he’s the third oldest), but he’s one of the biggest contributors that New York has; and, if he can keep contributing the way he has, the Knicks may soon find themselves in the Conference Finals. This entry was posted in Home, Rookie Recap and tagged basketball, Boston Celtics, Indiana Pacers, NBA, NBA Playoffs, nba rookie, NBA Rookie Class, NBA rookies, New York Knicks, Pablo Prigioni, sport, undrafted rookie by NBA Rookie Class. Bookmark the permalink.